Reviewed by Robert H. Dott, Jr.
At long last we have a biography of Increase A. Lapham, one of Wisconsin’s most important early residents. He was surveyor, botanist, geologist, antiquarian, meteorologist, limnologist, and all around good citizen. Thanks to Martha Bergland and Paul G. Hayes, we now have a well-researched and readable account of a true Renaissance man. Born in 1811 into a large Quaker family of modest means from New York State, Increase Allen Lapham worked on the Lake Erie canals before migrating in 1836 to Milwaukee, where, during a thirty-nine year career, he married, raised a family and matured as a respected scientist and civic leader before passing away in 1875. 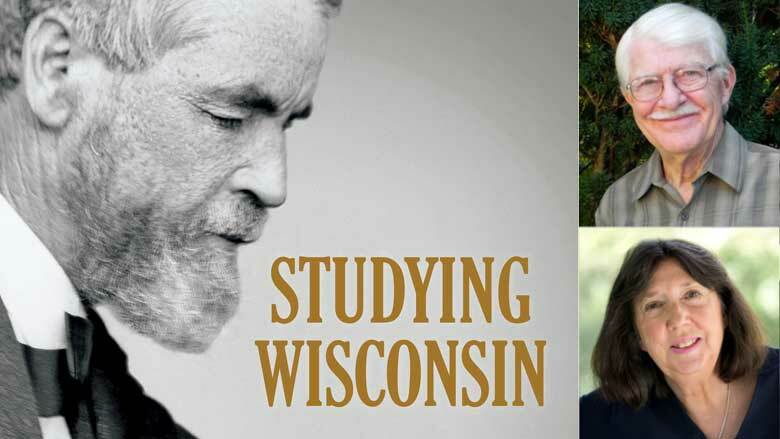 Both authors of this biography are residents of greater Milwaukee: Bergland is a retired English teacher and novelist, while Hayes is a retired science writer for the Milwaukee Journal. Through a friend, they discovered a mutual interest in Increase Lapham and decided to join forces to compose an authoritative biography of the man. Bergland concentrated upon Lapham’s early years, while Hayes focused upon Lapham’s time in Wisconsin. Their greatest challenge was grappling with the magnitude of the Lapham archive, thanks to the man’s consummate journal writing and voluminous correspondence. In his earlier years, for example, he and brother Darius wrote to each other daily, and throughout his life, Lapham wrote to countless other people including some of the nation’s leading scientists. He also recorded daily temperature and barometric pressure readings, keeping meticulous notes on sky observations as well as on the annual totals of snow and rainfall. From where did his fascination with the weather and natural phenomena spring? When but thirteen, Increase Lapham began working alongside his father and his beloved older brother, Darius, on construction of the western end of the Erie Canal and other transportation canals in Kentucky and Ohio. While each brother had a passion for knowledge, there was neither time nor money for formal education. But their keen observation skills, voracious reading, and association with older, educated men provided a kind of self-education for them. The brothers collected shells, fossils, and plants and exchanged specimens with many other collectors and bought books as their meager earnings allowed. In 1832 they published an article in the American Journal of Science about the so-called diluvial boulders—boulders thought to be deposited during the Noachian or other great flood—scattered across Ohio. This was thirty years before such erratic boulders would be explained by glacial transport. Entrepreneur Byron Kilbourn persuaded bright, young Lapham to move to Milwaukee to manage his ambitious ventures in the new Wisconsin Territory. Increase soon married Ann Marie Alcott, began raising a family, and participated in many civic affairs. Lapham’s employment allowed him to travel over the Territory and to observe its geology, botany, and the Native American effigy mounds. Yet in spite of his truly remarkable intellectual accomplishments, Bergland and Hayes note that Lapham’s lack of formal education was a continual psychological burden. Bergland and Hayes take the reader through Lapham’s major publications such as A Geographical and Topographical Description of Wisconsin (1844) and, Lapham’s most famous work, The Antiquities of Wisconsin (1855). Published by the Smithsonian Institution, The Antiquities of Wisconsin presented detailed maps and descriptions of the state’s many effigy mounds. By this point in his career, Lapham was in touch with prominent scientists such as Joseph Henry of the Smithsonian Institution, Asa Gray and Louis Agassiz of Harvard University, Benjamin Silliman of Yale University, and James Hall of the New York State Museum and Geological Survey. Lapham’s recognition of fossils in Milwaukee bedrock similar to those of the Niagara Falls region of New York convinced Hall to visit and to infer the presence of ancient Silurian reefs at Milwaukee. Lapham also travelled east several times to consult with these and other men and to attend a meeting of the American Association for the Advancement of Science, thereby developing both national and international reputations. The deeper one reads into this biography, the more one realizes how central Lapham was to the advancement of science not just in Wisconsin but in the nation. Lapham was the first to document a lunar tide in Lake Michigan. He made systematic meteorological observations and, because of terrible shipwrecks on the Great Lakes, he advocated for a storm warning system, which eventually evolved into the National Weather Service. In 1870 Lapham joined in the establishment of the Wisconsin Academy of Sciences, Arts, and Letters much as he had helped establish many civic institutions for the betterment of the common good, thereby fulfilling his Quaker spirit of public service. In 1873 Lapham was appointed director of a new Mineralogical and Agricultural Survey of the state only to be replaced abruptly two years later by a political appointee; the new governor was a Democrat while Increase was a Whig (some things never change). In spite of this outrage, the Survey was completed with the publication of four volumes of the highest national and international quality. I first “met” Increase Lapham as a young geology professor at UW–Madison when I kept discovering older library books with that strange name written inside. I soon discovered that the core of the original University Library holdings came from Lapham’s personal library. As such, I was delighted to learn more from Bergland and Hayes about this unusual man, who was so important to the early development of Wisconsin. Beginning his career at the University of Wisconsin-Madison in 1958 as an assistant professor in the Department of Geology, Robert H. Dott, Jr. is today recognized as a humanitarian, a champion of the geological sciences, and faithful mentor to over three generations of students.